Rum and whisky expert Chris Middleton explores how flavour complexity is created through the rum-making process, from the more fragrant cane juice rums to the rich, aged molasses rums. Here he looks at the range of rum ingredients, production styles and types to showcase how each factor influences the overall flavour profile. So next time you have a bemused rum drinker at your bar, you can feel confident explaining just where that flavour came from. There may only be six basic flavour ingredients used to make rum, but together they create endless combinations to make it the world’s most versatile spirit. White or dark, spiced or flavoured; rum can be drunk straight, mixed or in cocktails and from these six flavour ingredients endless varieties of rums are made. Water: Water is used throughout the rum making process, from cleaning the cane and making the wash for fermentation, to breaking down the alcoholic strength for bottling, to condensing the spirit. While water has the greatest presence of all the ingredients, its flavour neutrality means it has very little contribution to rum’s flavour. A good distillery will use the cleanest water possible, making it virtually taste neutral. Sugarcane: This is where the flavour trail starts; the flavour foundations come from cultivation techniques, soil agronomies, climates and cultivars used. Some cane fields are set on re and some are not. Some countries still cut the cane by hand, while others harvest mechanically. The speed to the mill affects the quality as delays cause bacterial infection in the cane sap. Another question is whether the distillery will use cane juice or molasses to make rum. The efficiency of the sugar refinery in extracting sugar will affect alcoholic yield, and the concentration of residual salts and other compounds trapped in the molasses will also affect the flavour of the finished rum. the length of fermentation, the alcoholic yield and the amount of different flavour compounds found in the wash before distillation will directly fashion the flavour direction of the spirit. Light rums have short fermentation, meaning less flavour is created, whereas dark rum fermentation can last weeks and produce a rich variety of flavours. Some producers of dark rum add dunder – the refuse from previous distillations, in order to enrich the flavour. Copper stills: The batch method of copper pot distillation results in more congeners and flavour being captured in the new spirit, which then results in greater complexity during wood maturation. Continuous column stills, on the other hand, strip out most congeners, which make for a lighter and cleaner spirit such as white rum. In the middle are copper retorts, doublers and column stills that distilleries have traditionally used to make house styles of rum. Each distillery has its own slightly unique still shape, configuration, and design, meaning its particular fermentation processes will produce its own characteristically unique flavour profile. Wood: Some distilleries rest their new-make spirit in large vats of old oak or pinewood, finishing it in cask. 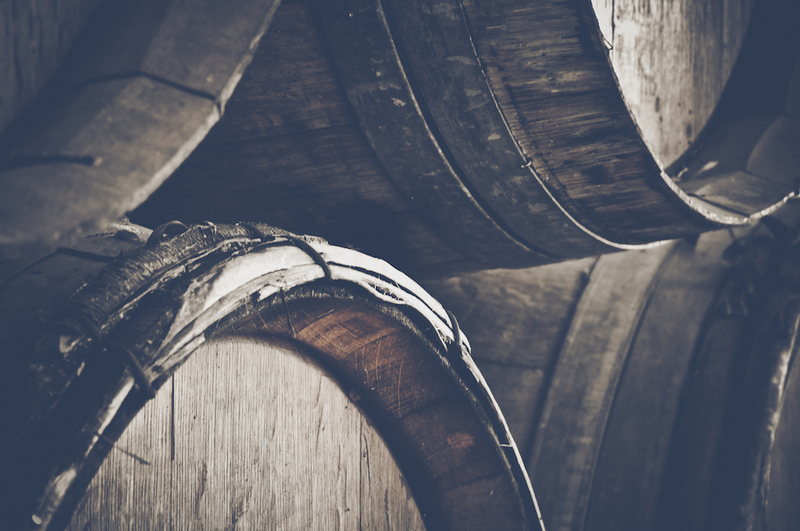 Others mature in American or European oak casks, and using ex-bourbon or brandy casks imparts some original spirit flavour from the wood into the rum. Environmental factors such as warehouse design and location (whether the distillery is by the ocean or in the mountains) affect oxidisation and the rate of evaporation. Time: The maturation process mellows the spirit by annulling its fiery and sharp taste, replacing it with smoothness, richness and flavour complexity. Time extracts its price and repays its debt with flavour, as up to eight per cent of the cask contents can evaporate each year in the tropics; although this does advance oxidisation in the cask and encourages interaction with the wood, creating more complex and nuanced flavours in the rum. The three most popular rum formats arose from the cultural histories of the three major European powers in the West Indies and Americas. Today, there is increasing product blurring as individual distilleries start to make a range of basic styles (white, gold, dark) and different types (English, French, Spanish), and to attract different segments and growth opportunities. This said, the underlining production techniques and flavour pro les based on each country’s colonial heritage still remain. English: This style is made from molasses and uses pot still and column still distillation to make gold and dark rums. The heaviest rums come from Guyana on the Demerara River; creating rich, powerful and aromatic rums. Jamaica, Dominican Republic and other previously British- controlled islands also produce rich and aromatic spirits, using both blended pot still and column still aged rums, while Barbados and Trinidad make a lighter, golden style. The English style directly shaped Australia’s style; this is evident in Bundaberg, Beenleigh and many other local types of rum from the past 150 years. French: The French have two classifications, being rhum industrial – made from molasses – and the other being rhum agricole – made from cane sugar juice. Martinique and Guadeloupe prefer cane sugar juice; whereas Haiti mainly produces heavier flavoursome rum from molasses that is aged for several years. Spanish: These are usually the white to gold rum types that are characterised by a light, smooth and crisp style of rum from Puerto Rico, American Virgin Islands and Cuba, to the aged and medium bodied rums from Panama, Nicaragua, Venezuela and Guatemala. Rum has been a versatile cocktail base since its inception from flips to shrubs, bombos and punches. Over the past 60 years the world has been introduced to famous brand names whose roots are inspired from the aforementioned traditions. Tia Maria and Kahlua are made up of coffee beans steeped in cane spirit and sweetened with sugar, then there’s Malibu – a blend of coconut essence with sweetened white rum – and the more recent trend of spiced rum with brands like Sailor Jerry – a gold rum infused with cinnamon, nutmeg, vanilla and sugar. Many hundreds of flavour-enhanced brands vie for purchase attention and are doing so by introducing younger consumers to the rum category. Flavoured rums use fruit flavouring, while spiced rums add aromatic spices and botanicals; rums that are sweetened with sugar are known as rum liqueurs, and cream liqueur rums are blended with dairy product and spices to enhance the flavour.